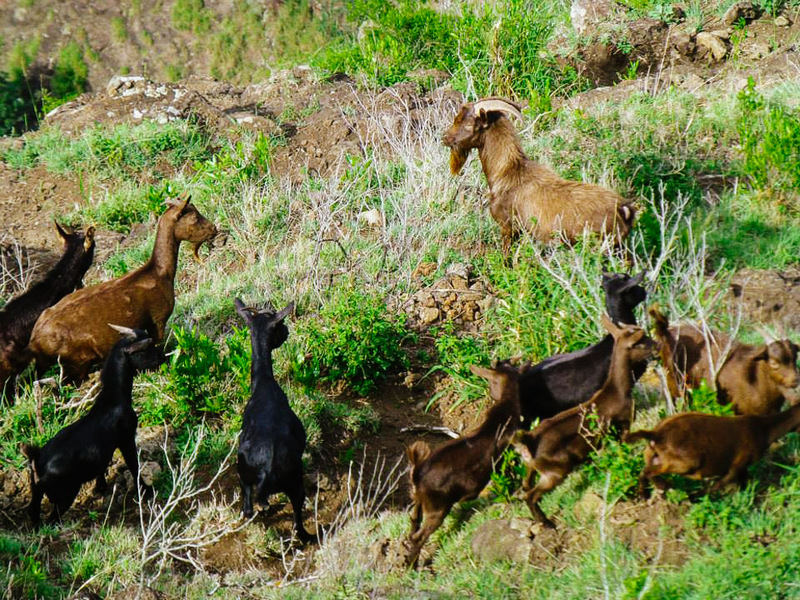 Editor’s Note: When you live on an island, biosecurity is kind of a big deal. 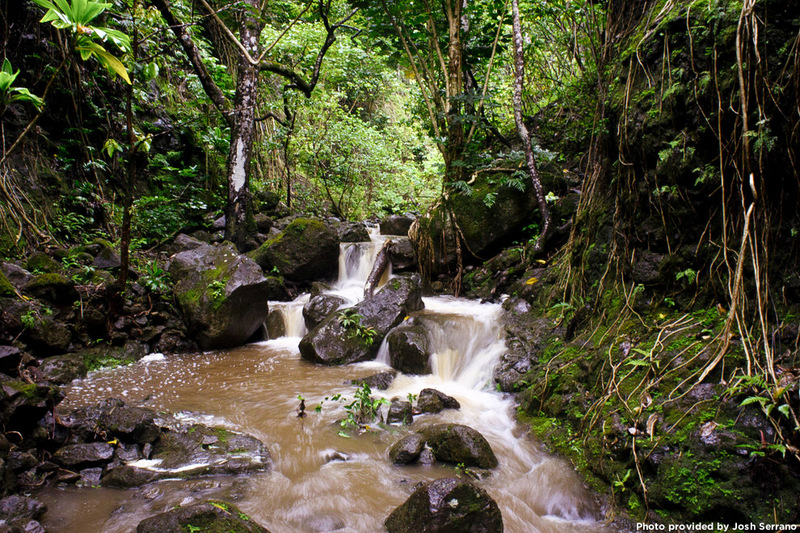 The State of Hawaii devotes a lot of resources to keeping alien species off the island. But new species end up on the island all the time. And when a new plant or creature gets here, you never know if it’s going to play well with our ecosystem or wreak havoc on the island. I’m posting this information because as a reader of Unreal Hawaii I’m going to assume that you’re somewhat “naturey.” And as a naturey person, I’m assuming you’ll like to learn about invasive species in Hawaii. I know I do. 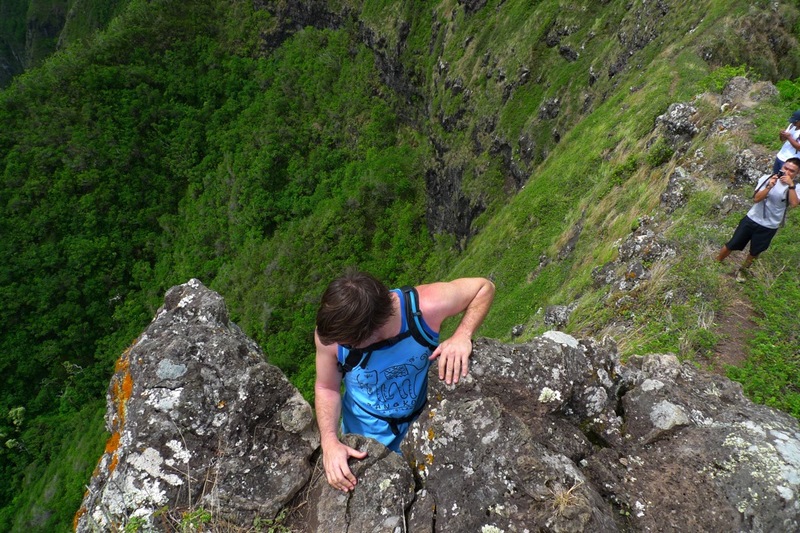 Well we’re in luck, my friend and hiking buddy Joshua Serrano has submitted another article to Unreal Hawaii and it’s my pleasure to share it with you. 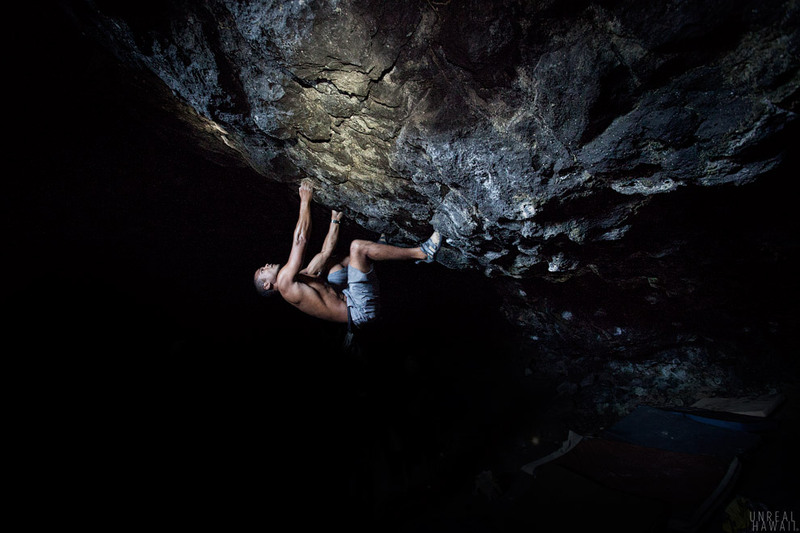 The following article was written for Unreal Hawaii by a group of University of Hawaii at Manoa students. They are part of the Department of Natural Resources and Environmental Management (NREM) and are working on a project to help raise awareness about a new invasive species that’s destroying our island’s coconut trees. Invasive species. What exactly are invasive species? The general definition of an invasive species would be any organism (plant, animal, fungus, etc.) that are non-native and can have a negative effect on our environment, economy, or our health. 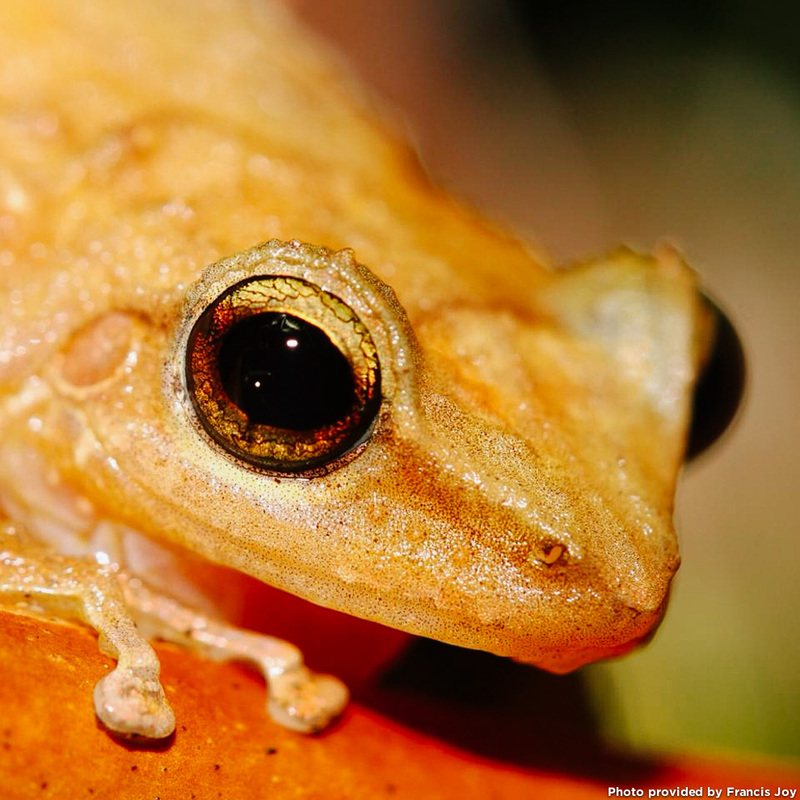 Pictured above is a coqui frog (Eleutherodactylus coqui) which makes a loud and annoying “ko-KEE” mating call throughout the night disrupting many hours of sleep for many residents on the Big Island. Please keep in mind that not all introduced/non-native species are considered invasive. But when a species get introduced to a new area outside of their native range they tend to escape their natural predators that otherwise would control their population size which is one reason why an organism can become invasive when it gets introduced to a new area. Hawai‘i being the most isolated island chain on earth lack many natural predators. Pictured above is Miconia (Miconia calvescens). In its native range in South America, Miconia is an uncommon plant that invades tree fall gaps. 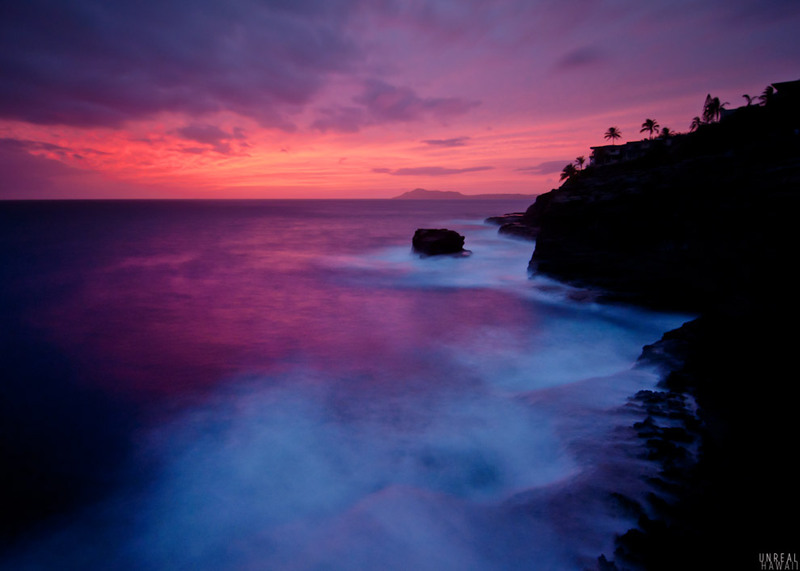 In areas that it has been introduced, it has earned names such as “green cancer of Tahiti” and “purple plague of Hawaii”. 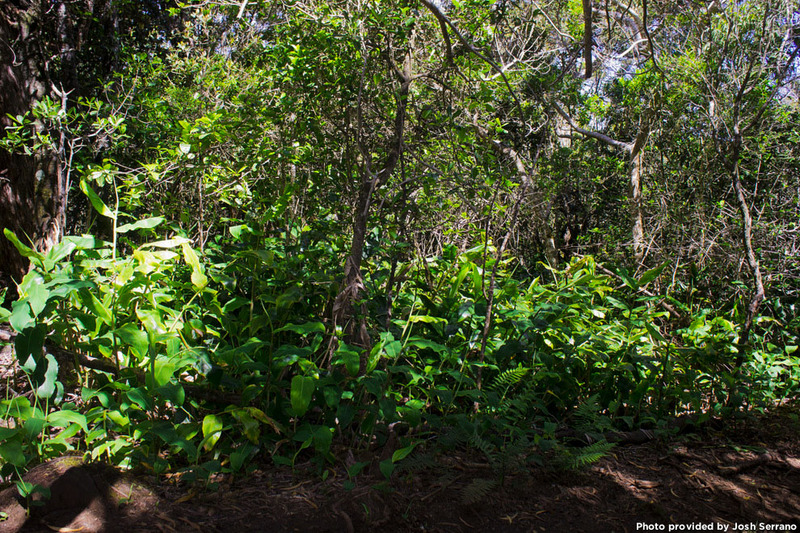 Miconia forms dense thickets and shades out native plants and can dominate areas that it invades which can reduce the amount of rainfall that seeps into our watersheds. It also has a shallow root system which promotes erosion. 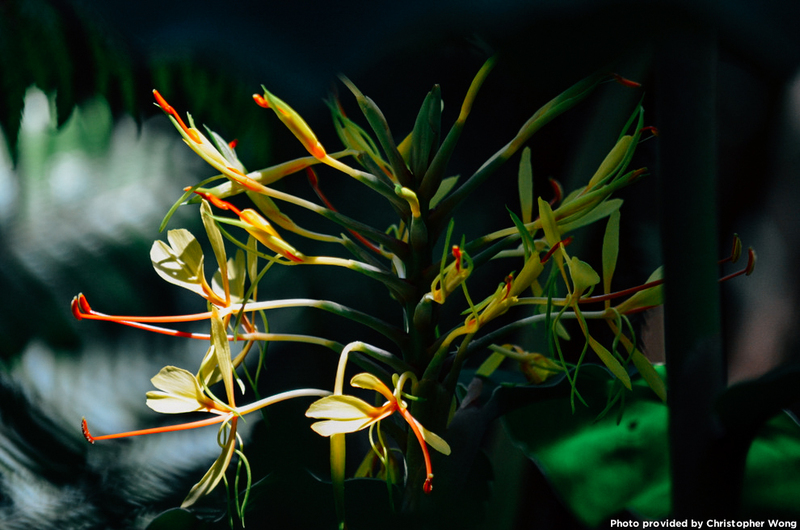 In areas up in Koke‘e (Kauai) this ginger out-competes native understory plants and completely displaces them. Ultimately all you end up with is ginger in the understory which is not as good at capturing and holding water compared to the multi-layered native understory forest. 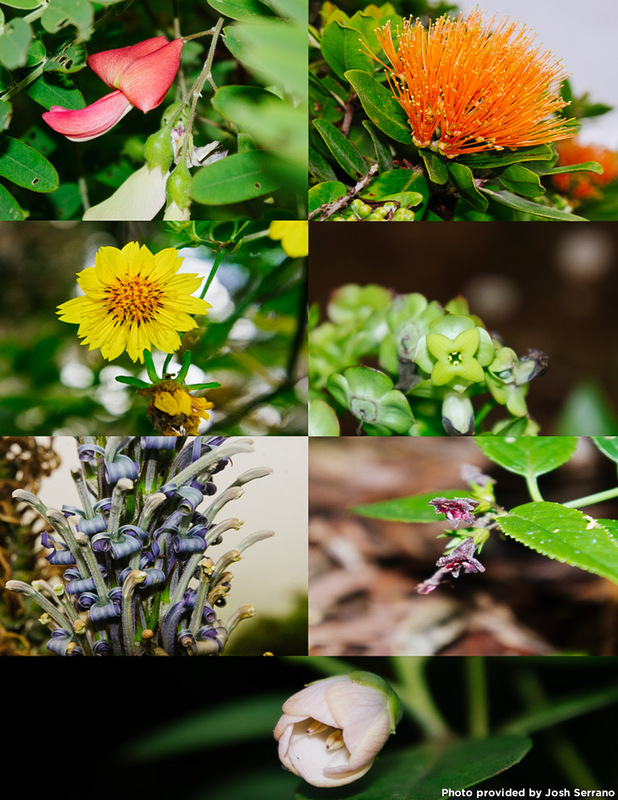 Hawai‘i has many aesthetic plants that are found nowhere else in the world. Don’t they deserve the right to exist and survive in their homelands? Invasive species are one of the biggest drivers of causing species extinctions.They come in all shapes, forms and sizes. They affect our islands in a variety of ways. 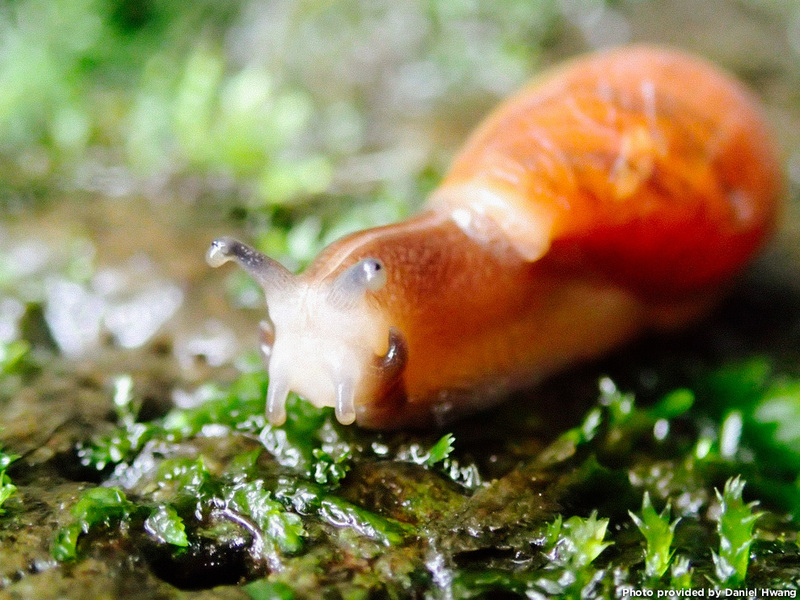 Pictured above is a carnivorous Rosy Wolf Snail (Euglandina rosea) which was brought to Hawai‘I to control an agricultural pest, the Giant African Land Snails. Unfortunately, the Rosy Wolf preferred our endemic tree snails. Many of which are threatened or on the brink extinction. 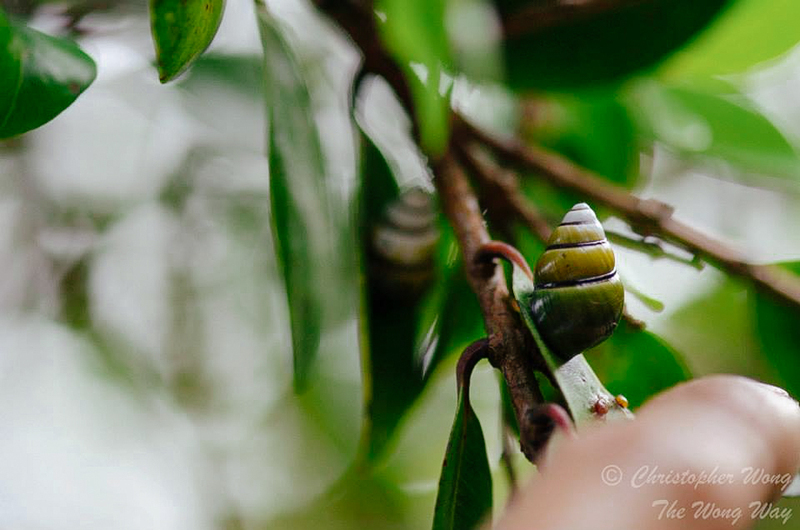 Pictured above is a beautiful Kāhuli (Achatinella sowerbyana) which is an endangered tree snail that is endemic only to the island of O‘ahu. Introduced birds can aid in the dispersal of invasive plants that threaten our native plants. They also can out-compete native birds for food resources which are needed for growth and reproduction. Pictured above is a Japanese White-Eye (Zosterops japonicas). 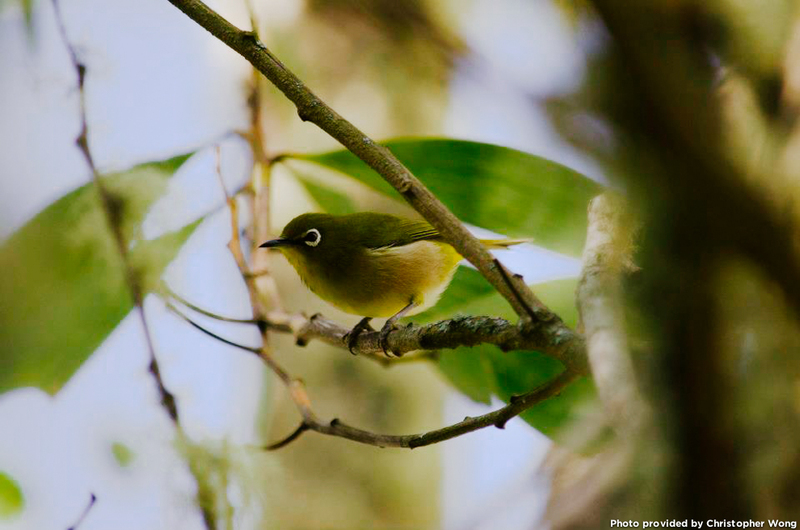 In areas such as Hakalau on the Big Island, Japanese white-eye can have a negative effect on the survival of native birds. 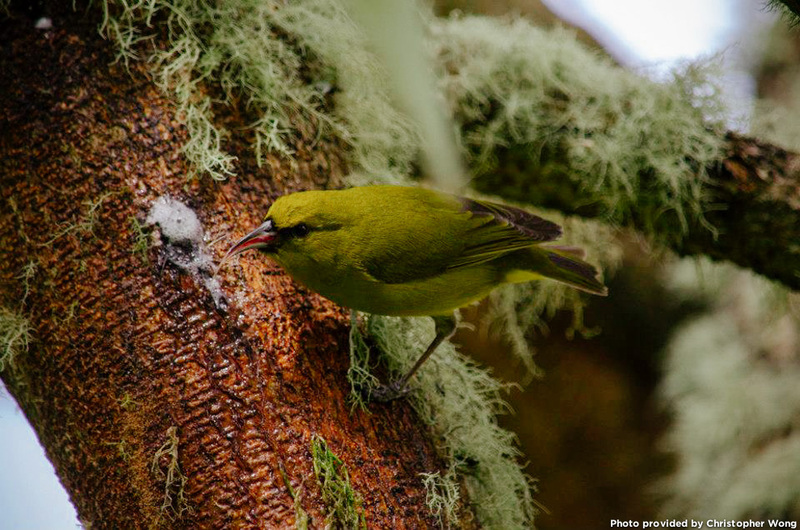 The Hawaiʻi ʻAmakihi (Hemignathus virens) is one of our native honeycreepers that are found only here and nowhere else in the world. Fortunately these ‘Amikihi are still doing well compared to most of our native honeycreepers that are either threatened or endangered. 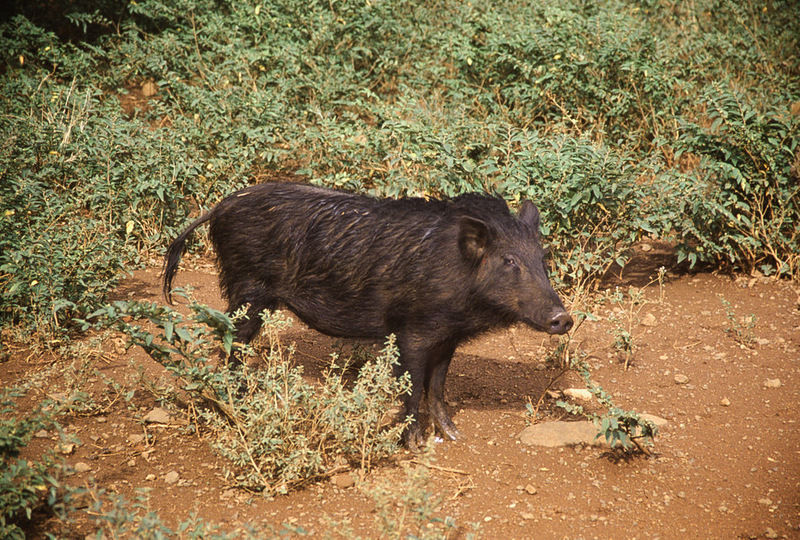 Pigs, goats and other grazing animals devour and uproot vegetation, and leave top soil exposed. They are invasive. The top soil then becomes very susceptible to erosion when it rains because there is nothing to hold the soil anymore. The exposed soil runs-off into streams when it rains. 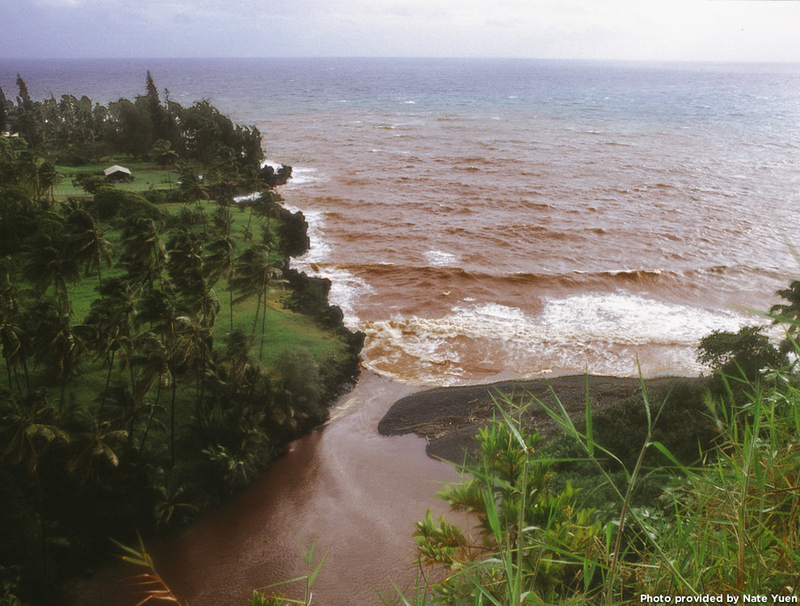 The soil and other sediments end up in the ocean which can be detrimental to our reef ecosystems. 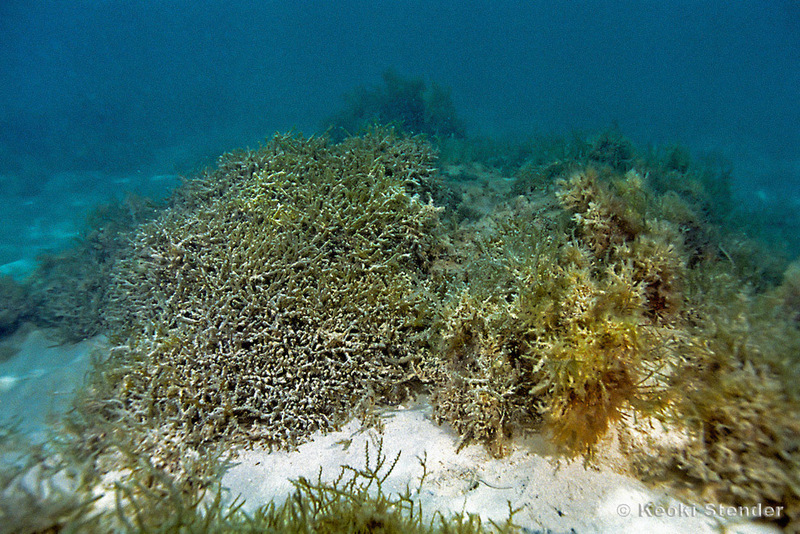 Another result from run-off and sedimentation is that it releases nutrients into the ocean which invasive algae like the Gorilla Ogo (Gracilariasalicornia) thrives on and can lead to algal blooms that can cover and kill coral reefs that both support and protect biodiversity. 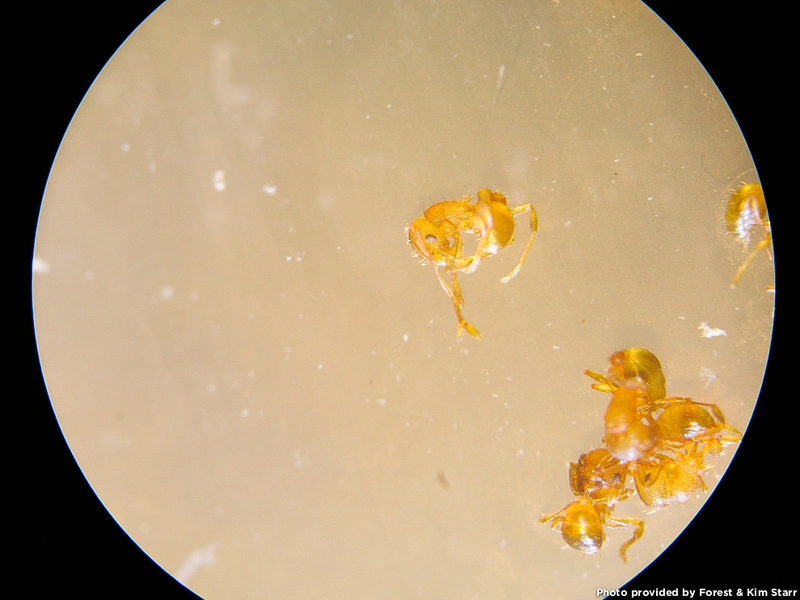 If you have been watching the news lately, you probably heard of the Little Fire Ant (Wasmannia auropunctata) and how it recently reached the islands of O‘ahu and Maui. 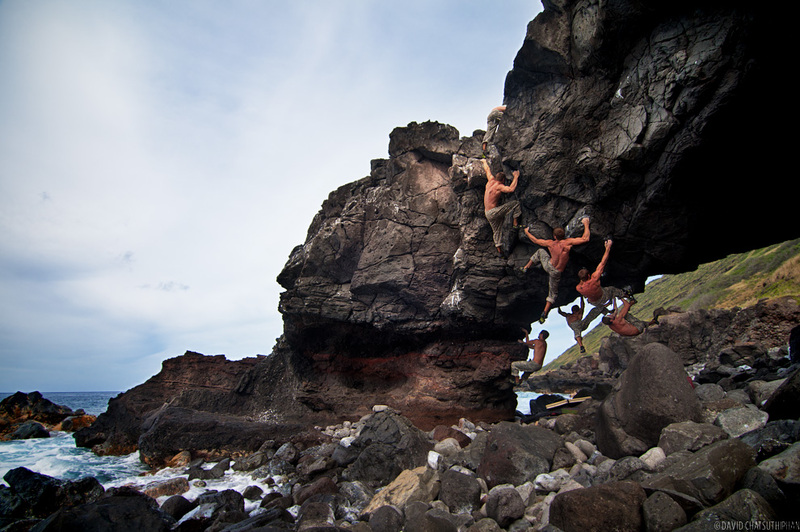 It was originally discovered on the Big Island back in 1999. This tiny ant delivers a painful sting and can leave welts on your body that can last for weeks. It also promotes plant pests that can be damaging to agricultural crops and businesses. A new invasive species has recently arrived to our islands. 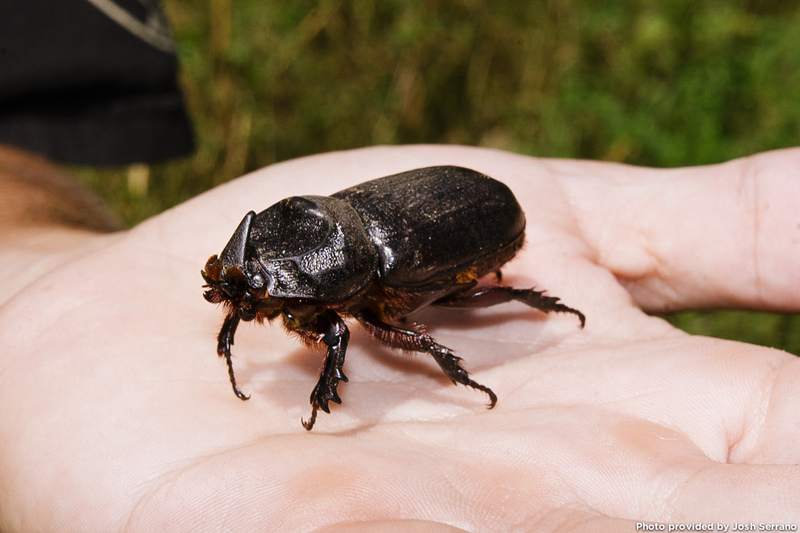 The Coconut Rhinoceros Beetle or CRB (Oryctes rhinoceros) is native to the Asian tropics whose main host plant is the Coconut Palm (Cocos nucifera). For more information on the CRB check out this information brochure. Some Pacific islands where the CRB has been introduced have lost 50% of their coconut trees because of feeding damage by these beetles. 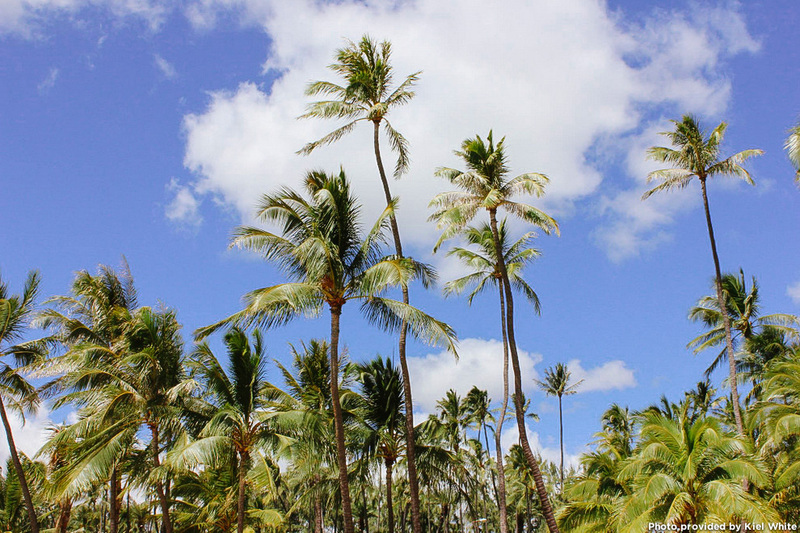 Although the coconut palm is not native to Hawai‘i, it is very important economically as an ornamental tree that is used frequently in landscaping. It was also a valued canoe plant that was brought by the Polynesians when they voyaged to Hawai‘i, so there is some cultural importance as well. 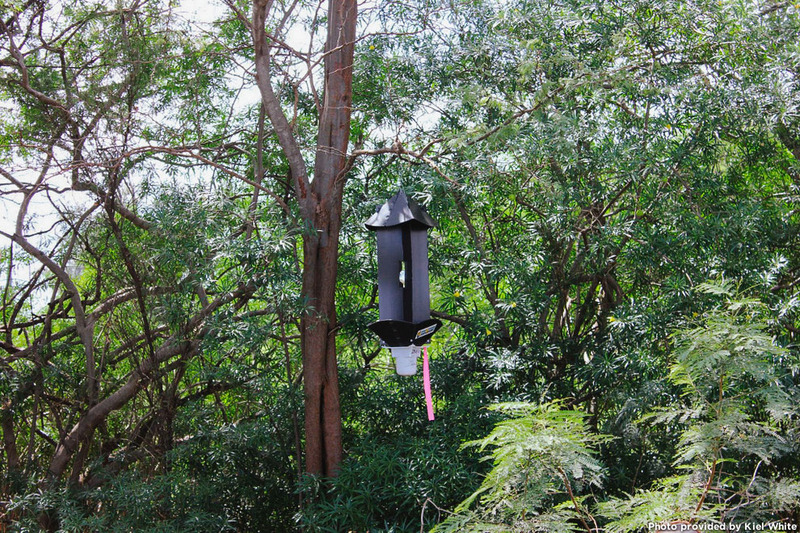 The State of Hawaii Departments of Agriculture (HDOA) and Department Land and Natural Resources (DLNR), United States Department of Agriculture (USDA), the Navy, and other entities are working hard on trying to eradicate the coconut rhinoceros beetle on O‘ahu by setting up traps around hot spot areas. It is still unknown how far the beetle has spread on O‘ahu. The beetles damage palms by boring into the center of the crown of the coconut palm where they damage young, growing tissue where they feed on the sap. 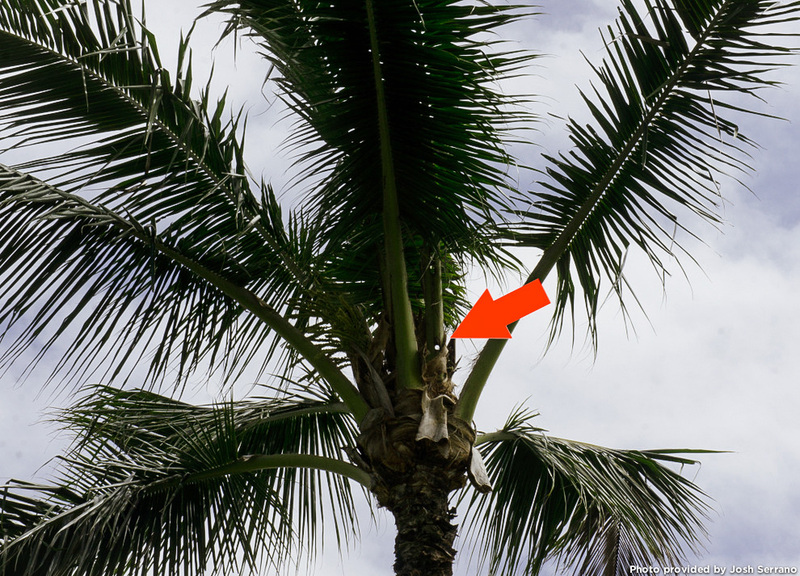 These open wounds can leave the coconut palms susceptible to diseases and weaken the plant which can later become a health hazard and safety risk. Coconut palms that are damaged by the CRB have distinct “V-shaped” cuts on newly emerged fronds. Suspected beetles on coconut and palm plants on all islands should be reported to agriculture department’s pest hotline – 643-PEST (7378). This is also a toll-free number for neighbor islands. 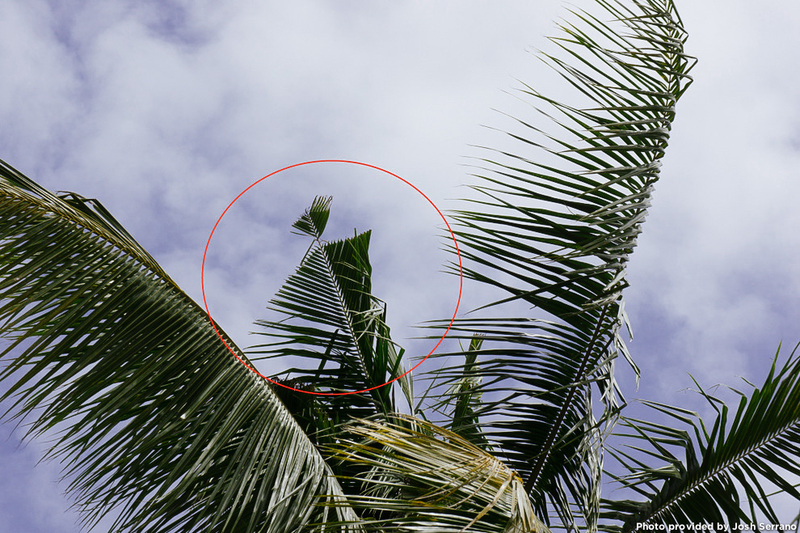 Although the coconut palm is the CRB’s main host, it has been observed when the population increases the CRB attacks other palm and plant species. 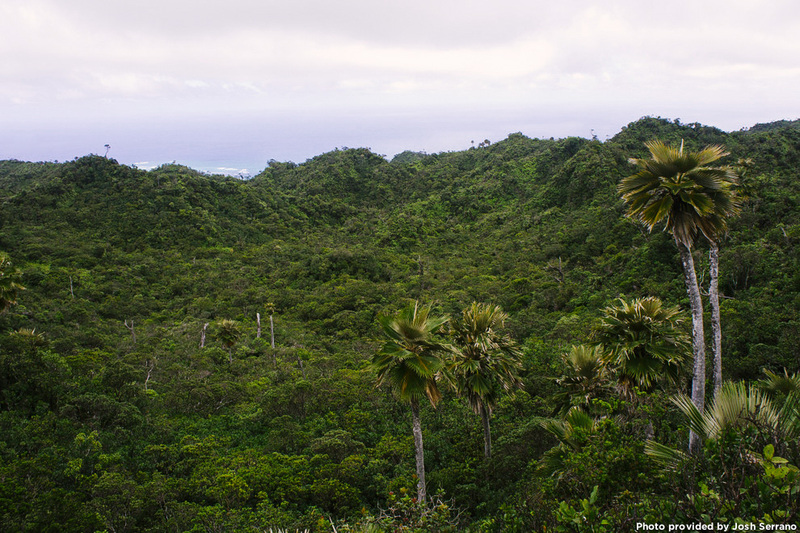 Hawai‘i is home to only one native palm, the Loulu (Pritchardia spp.) and there could be a possibility that this beetle starts attacking our native Loulu. 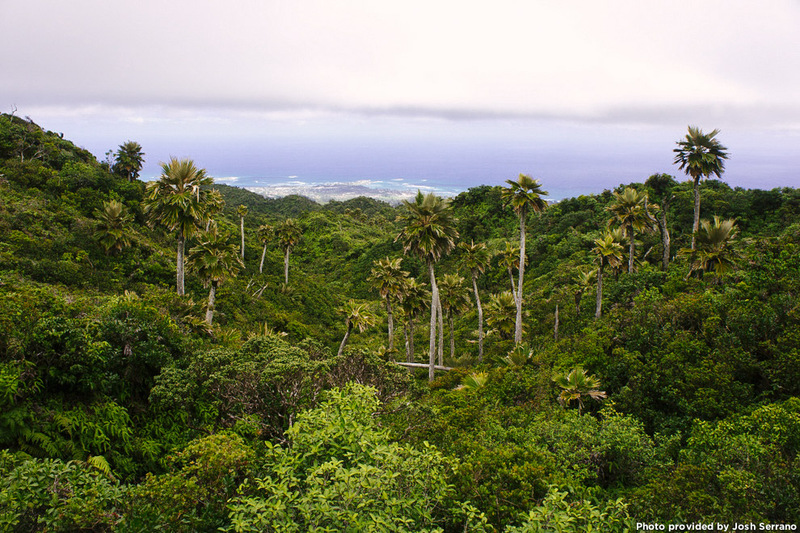 Hawai‘i is home to 22 endemic Loulu Palm species. Many of these species are threatened or endangered. Let’s help prevent the establishment of the CRB in Hawai ‘i. Mahalo! 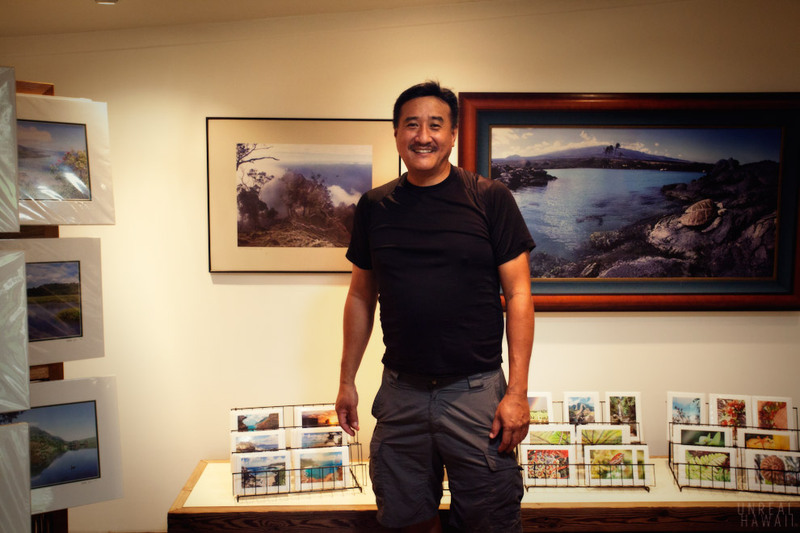 Acknowledgements: A huge mahalo to Francis Joy, Nate Yuen, Forest & Kim Starr, Christopher Wong, Daniel Hwang, Keoki Stender, and Kiel White for providing photos for this article.